← Was It A Meltdown at The Open? 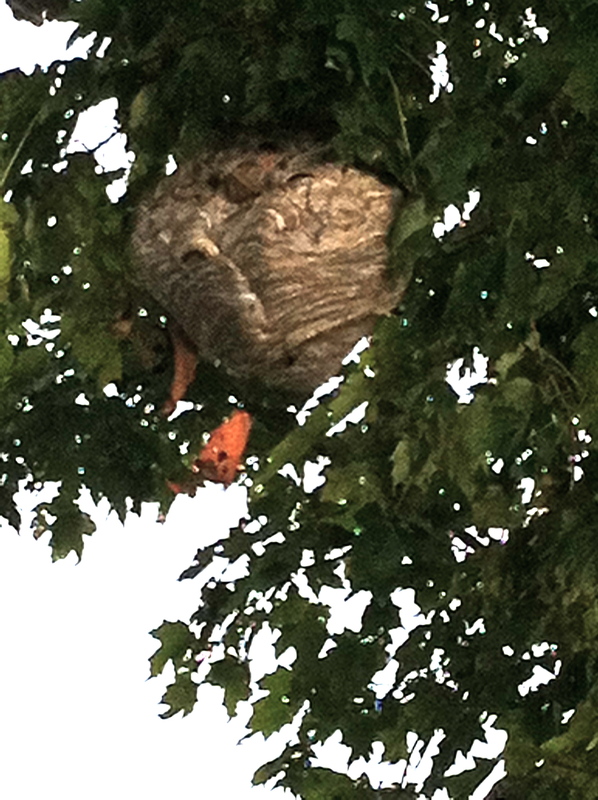 As I arrived at the ninth green during a playing lesson, I glanced up in the tree near the cart path and buzzing overhead were the occupants of this amazing hive. I had to stop and get a picture…THEN I made a bee line for the clubhouse. It really was something to BEEhold! This entry was posted in Articles and tagged Bee Hive, cathy macpherson, Top 50 Teacher. Bookmark the permalink. I have seen it and is truly un-BEELEIVABLE!! BEE line for the clubhouse for the rest of the day!